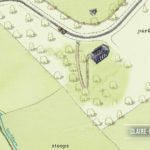 We’ve got some exciting news to reveal today (1st April) – Penshaw Monument will be relocated to Beamish Museum. We’ve chosen today for this fantastic announcement – as part of our Remaking Beamish project and Penshaw Monument’s 175th birthday celebrations, this North East icon will be moved to the museum! 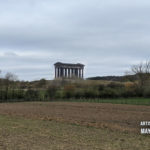 The National Trust monument is being relocated due to the discovery of an infestation of a rare breed of worm in Penshaw Hill – a protected local species, known as the Lambton Worm. 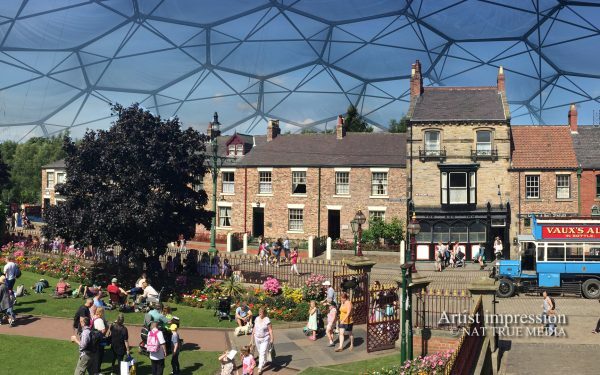 The National Trust, which has looked after the monument for more than 80 years, approached Beamish about the move. 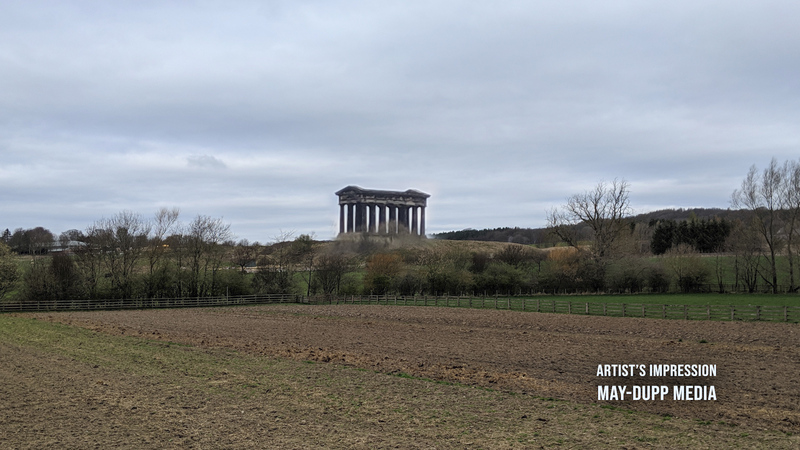 Beamish tells the stories of everyday life in the North East and, as Penshaw Monument has been a major part of our history for 175 years, it was a perfect fit! 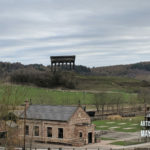 The monument will be moved stone by stone to Beamish and initial survey work has already been carried out by museum experts Orla Lye and Faye Kinnitt. As part of this complex process, the stones are being sorted into categories – Foundation, Overhead, Operational, Lower and Structural. 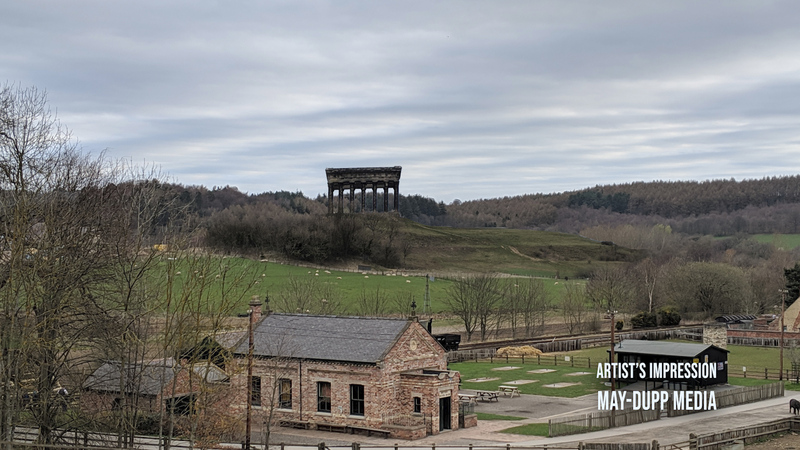 At Beamish, the monument will be positioned on top of a pit heap in the middle of the museum, replicating its current location, and allowing the traditional Easter egg rolling and winter sledging to continue (see artist’s impression). Domes-day! We're ready to raise the roof on history - UPDATE: April Fool! 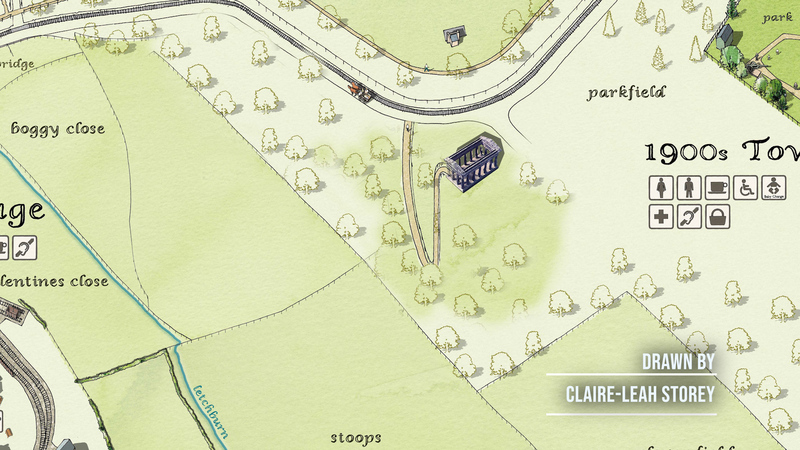 We’ve got some exciting news to share today (1st April) – we’re putting a roof over Beamish!